In case you didn't know, this week I'm posting some delicious, healthier, sweets! All featuring my new fave baking ingredient-Zulka Pure Cane Sugar. If you wanna read more about it, check out Monday's post. Suffice it to say-I now wanna use it for all of my granulated sugar needs! 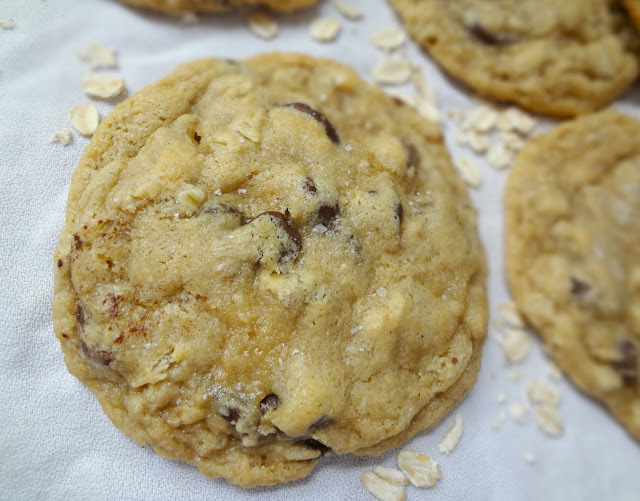 Oh hello there chewy, underbaked cookies. You have all the delicious comfort of any great chocolate chip cookie. You're made completely with whole wheat, you say??! 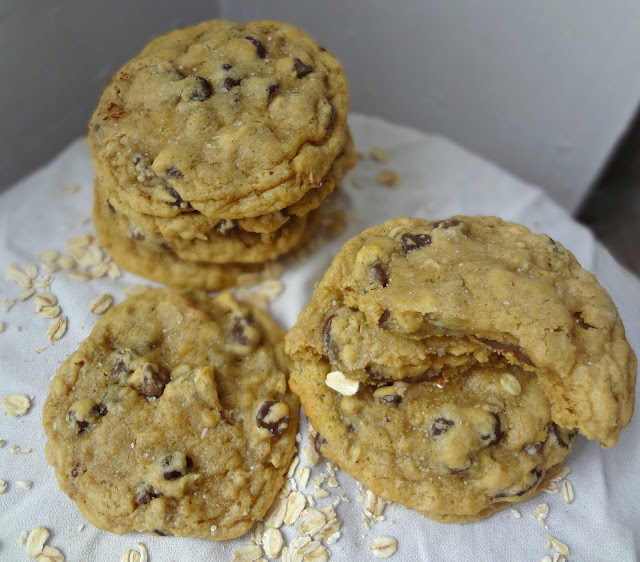 These cookies utilize the amazingness of aging dough (which we've discussed before) and-although they do have oats in them-they're a pretty classic chocolate chip cookie (the oats just give em some chew), and the whole wheat factor is pretty much a non-issue. Like...you can't really tell. They're just good. And good cookies is what it's all about, right? 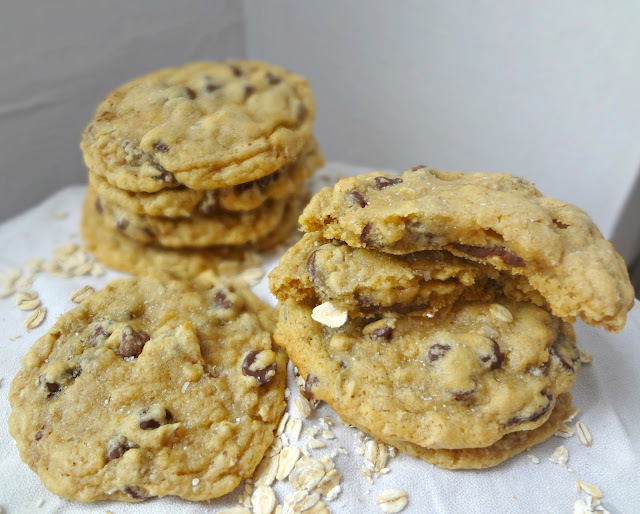 Adapted from Cookie and Kate's "Whole Grain Chocolate Chip Cookies"
In a medium bowl, whisk together flour, baking soda, baking powder, salt, and cinnamon. In a large bowl or stand mixer, beat butter until fluffy. Then beat in the sugars. Beat in eggs, 1 at a time. Mix in the vanilla extract. In 3 increments, mix the dry ingredients into the rest. 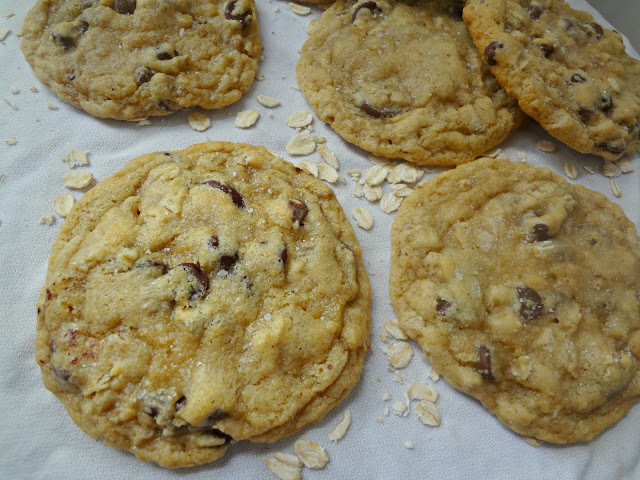 By hand, stir in oats and chocolate chips until evenly distributed. Chill dough for 12-72 hours. When ready to bake, preheat oven to 375 degrees and prepare baking sheet(s) with parchment paper, silpat, or by spraying with nonstick cooking spray. Bake 10-13 minutes, or until just beginning to turn golden-err on the side of underbaked. 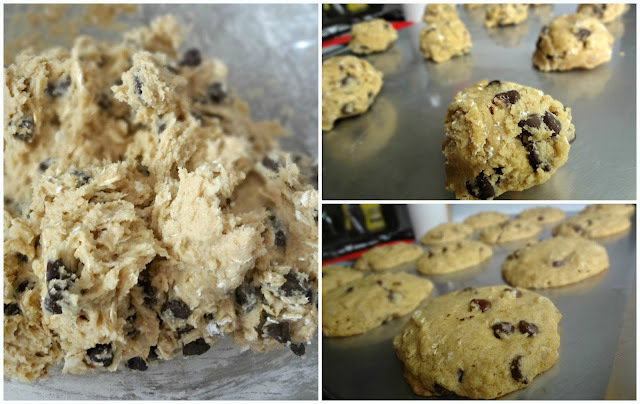 Let cookies sit on the sheet for 5 minutes, or until set, then transfer to a cooling rack. If desired, sprinkle the tops with salt.